Brainstorming is one of the most powerful creative techniques ever made. When it is properly used, it can result in more and better ideas than any other process. It’s based on the concept that two heads (or more) are better than one. Brainstorming is not about executing ideas. It’s simply about coming up with ideas. And it is almost always more productive as a group activity. The result of a brainstorming session should be a long list of potential ideas which one can evaluate later and act on the best. Whenever you first start a blog, it’s usually pretty easy to think up topics to write about. You can start out with the basics in your industry, how to do this, why you should do that, but after sometime you will have to struggle just to come up with blog topics. After writing nearly some good number of blog posts I have learned nice & easy ways to brainstorm some blogging ideas! Watch on Your Competitors: This is the best way to come up with topics. Try to find 3-4 quality blogs in your niche and see what they’re writing about, then take some of their ideas and put your own unique spin on them to come up with a related but completely unique article. Post Follow Ups to Previous Posts: If you dig around in your blog you’ll likely find time sensitive materials, post an update to those older posts with updated information. Make Top 10 Lists: These always work great! Top 10 lists tend to be shared more on social sites and drive you more traffic, plus there’s usually an endless amount of top 10 lists you can publish on your blog. Case Studies: When you receive some great testimonials or have a customer/client you can feature as a case study, write a great blog post about it as it will likely help get you some new customers when they see the results you can achieve. Readers’ Choice: Sometimes just ask your blog readers what topics they want you to write about, then you can write about them. It helps your readers connect more with the blog and gives them the information they need. Qualaroo is an awesome tool for these type of surveys. Peoples’ Choice: If you find it hard to figure out which topic to write about and what are readers would like to read the most. Try with Google Trends. Don’t forget to filter your search. Now you have got an idea about people would like to read. 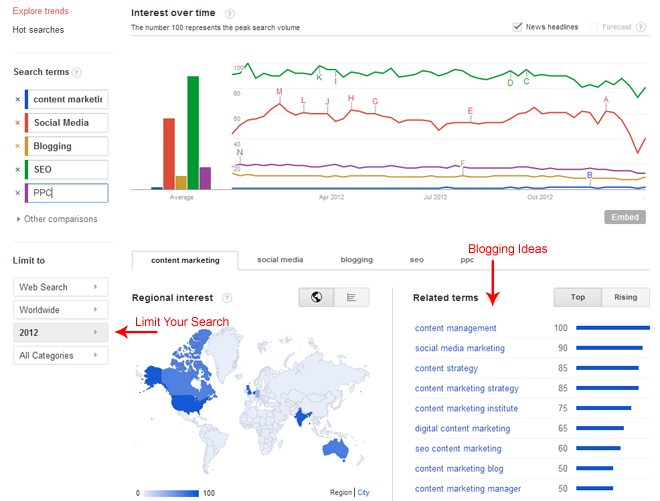 You can also move on to Google Blog Search to get an idea about the recent blog posts on specific topic. Write About Experiences: When we have a client who has a good or bad experience with any aspect of their online marketing, we generally write about it. Do the same to share your experience and present it in an informative way. Welcome Guest Posts: It can help keep your blog interesting and present different points of view if you open your blog up to quality guest posts from time to time. Setup A Google Alert: If you setup a Google alert, you can request it to notify you of new blogs about various topics that can help inspire you about things to write about such as news events in your industry and new developments. When You Don’t Feel Don’t Blog That Day: This is very important — if you aren’t feeling it then don’t try to do it. Often we come across topics which are very loosely spun and are not so catchy. This usually happens when you don’t have clear idea or knowledge about that topic or you are not feeling good. Just wait for tomorrow. Below mentioned are some of the very practical and achievable ways to have blogging ideas. Mind mapping is the easiest and most popular form of brainstorming. They’re especially effective if you’re brainstorming on your own. A mind map is a graphical representation of all your ideas linked to and arranged around one central idea, problem or topic. There are no rules to it apart from jotting down everything that comes in your head. Your mind map can be hierarchical or in a tree branch format. 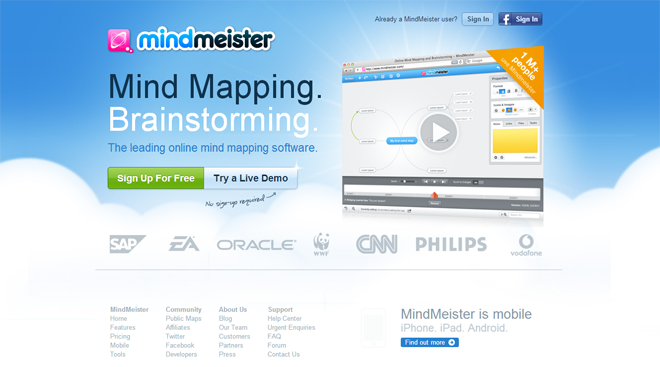 You can either do mind map on a paper or use an online program like Mind Meister which lets you save, import and export your mind maps and comes with a free version as well. If you don’t want to partner up on the project, that’s fine. You can still get them to collaborate with you for brainstorming as long as you return the favor. 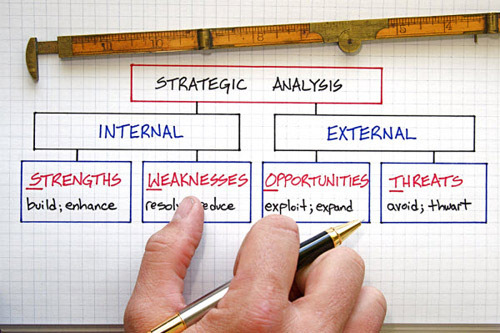 A SWOT analysis is an analysis of your project’s strengths, weaknesses, opportunities and threats. Doing a SWOT analysis will give you a clear idea of what you have, what you need, what you can capitalize on and what you need to improve. Type in a word or phrase, or website name. Google AdWords Keyword Tool will show you a list of similar keywords with a count of how often each word is searched. The competition column shows words advertisers think have most value. 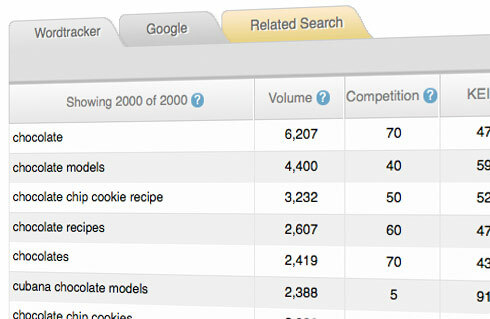 Use tool to test and find best keywords to increase their website showing up on Search Engine pages. Try exact match tool for better accuracy. With this you can find long tail keywords can be highly relevant, give you a much better chance of ranking well, and often convert well too. That means more visibility for your business. Steal your competitors’ keywords. Don’t tell anyone, but you can get your “Related Keywords” by trawling your competitors’ websites. Wordtracker helps you piggy-back on their successes. You can easily organize your work. Wherever possible, Wordtracker removes the grind from keyword research. Our keyword map helps you plan your site without loads of spreadsheets. 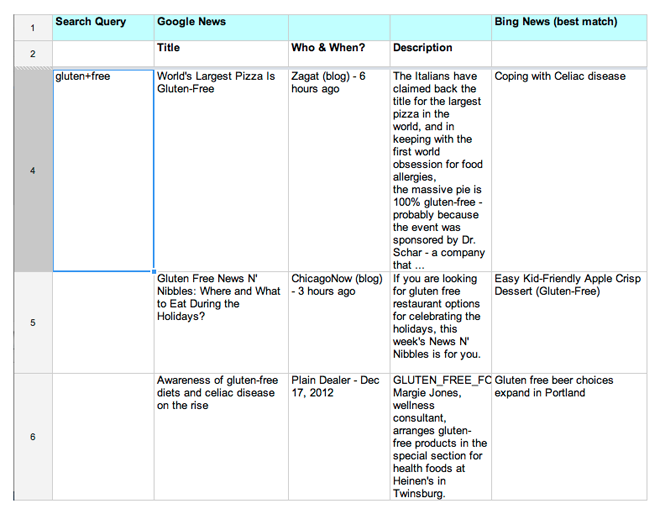 The Content Idea Generator (v2) is a Google Doc that will automatically find news and related stories for your blog from a variety of sources for everything from Google News to Reddit, from tweets to public Facebook updates and more. While this tool works just as well for podcasts, email newsletters and YouTube videos, I’ve been using it for generating new ideas for blog content. 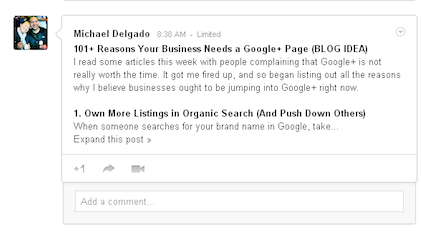 You can use Google+ circles to brainstorm and store blog post ideas. You can easily find people who are following your blogs and keep in touch with them and make a separate circle for them who don’t. 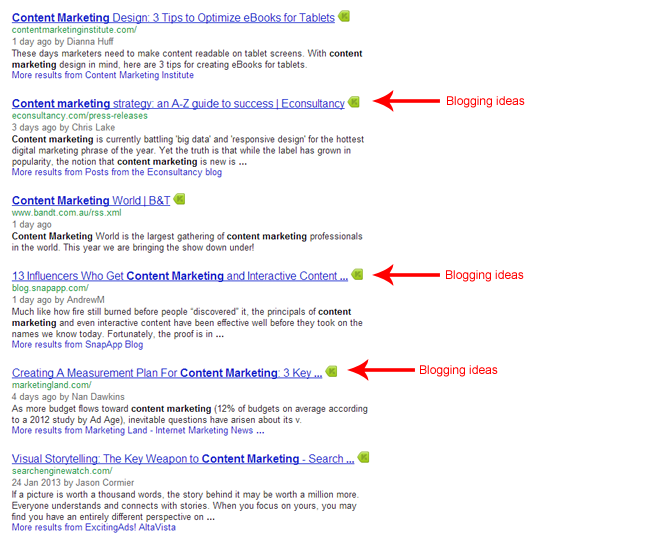 It’s just a way for me to easily store ideas and quickly find them later since all the content is indexed. Create a Google+ circle to store blog post ideas. MarsEdit is a tool that is available as an application in the Mac app store. 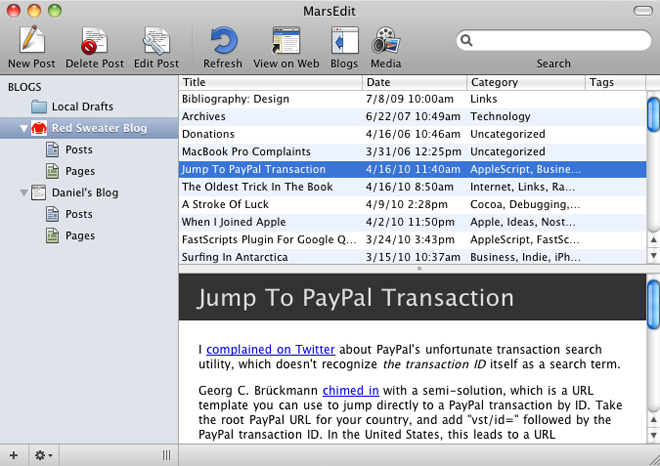 MarsEdit is a desktop blog editor that you actually purchase and install on your Mac. MarsEdit allows you to write your blog posts without touching your browser. This prevents you from being tempted to jump into email, Twitter or browsing the web. There are no distractions! You can simply FOCUS on completing a post. Have you ever lost your post edits online when working inside of your blog dashboard? It has happened to me too many times to count and it won’t happen again with MarsEdit. MarsEdit works with WordPress, Tumblr and more! Brainstorming is the secret weapon of every freelancer and entrepreneur. It helps us recall everything we know about the subject and any related ideas to it. Whether we realize it or not, brainstorming is at the root of every venture we undertake, be it a product, project or something as simple as a blog post. 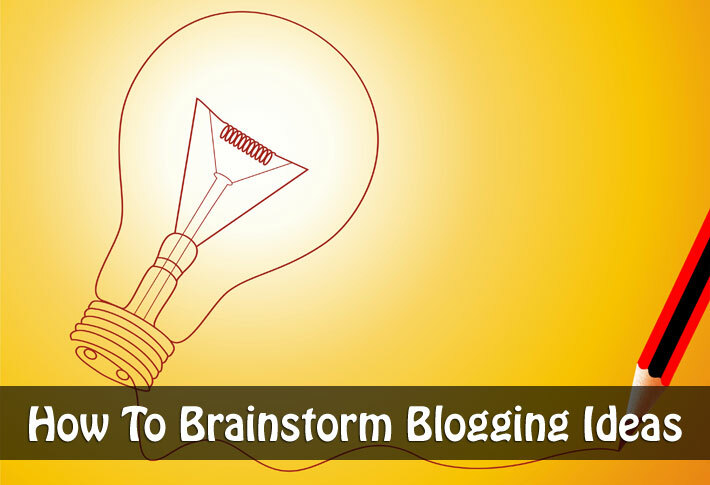 If you interact with other bloggers frequently, you probably do a little informal brainstorming already. It’s not just a good way to solve problems; it’s a great way to keep your blog fresh and interesting. In fact, I’m thinking about brainstorming for bloggers specifically because more and more bloggers are beginning to work together to write blogs, create products, promote each other’s content, and feed off of each other’s energy and ideas. Therefore always keep your mind and heart open for any ideas to flow in. And you will find that you discover lot many options to keep it on. Our friends at Wishpond have created this awesome infographic featuring 12 brilliant blog post ideas to help you get your creative juices flowing again, regardless the industry or niche you are in. Let me know which one works best for you in the comments section below. So much details and in depth article. By reading the whole post I too get few ideas just from you 🙂 Saha it is good to see that you are doing an awesome piece of work here. Thanks Sumit! Glad you found this post useful 🙂 Let me know if I can help you with anything.